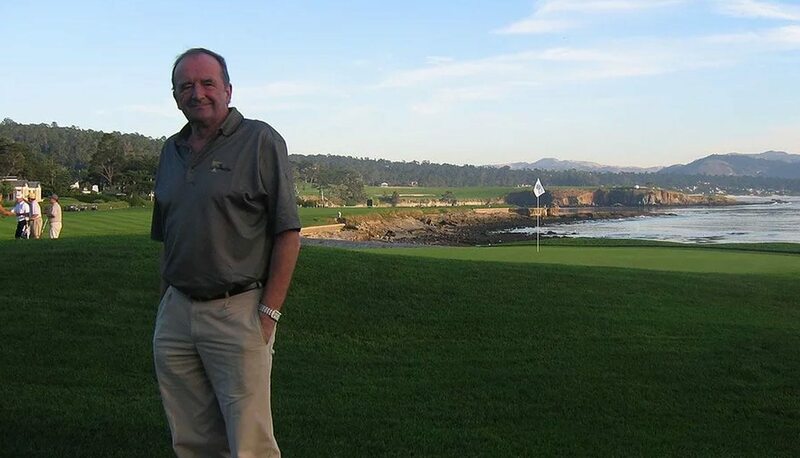 Paddy O’ Looney has left an indelible mark on the Irish golf tourism industry and below is a fitting tribute to him that was written by Brian Keogh for the Irish Examiner. They say that if you love what you do, you will never have to work a day in your life. In that regard, the late Paddy O’Looney was one of life’s fortunate souls — a man who found the perfect niche for his innumerable talents, making friends while marketing Irish golf to the world. He was the driving force behind SWING, the marketing group founded in 1986 by Denis Brosnan of Kerry Group to promote the premier clubs in the south-west to a world audience. He saw O’Looney as the perfect candidate to lead the new venture, and it proved to be an inspired choice as SWING grew to become what it now says is “the largest and most renowned golf vacation handling agency in Ireland”. In truth, his work as SWING’s chief executive only scratches the surface when it comes to defining the achievements of a remarkable individual, who hailed from Dublin but left his mark in every corner of the country and even briefly amongst the stars, not just as a businessman of myriad talents but a storyteller and friend of golf lovers from every corner of the globe. His death after a long illness on December 8 was not just a huge loss to his wife Joey and his family and friends; it also left a gaping hole in the fabric of Irish golf. Search the golfing archives for mention of Paddy and not only do you get a snapshot of the history of Irish golf tourism over the past 30 years, you are transported to that happy, bygone era of the 1960s, ‘70s and early ‘80s, when amateur golf in Ireland was at its height. Single figure golfers were known nationwide, scratch cups winners and interprovincial players such as Paddy were household names, dreaming of Championship wins and the Holy Grail of an international call-up. While he played 51 times for Connacht from 1974 to 1987, winning 14 times — a strike rate which places him amongst the top 12 in the history of the province — it matters not that he never did get that international cap. His travels around the globe promoting Irish golf gave him as much pleasure, making him one of Ireland’s best-known golfers worldwide. He was Ireland’s Mr Golf and it was a role he loved. While the travel might have worn down lesser men, he loved meeting people, though he might have been forced to adopt some imaginative tactics when touching down in airports in far-flung corners of the world. As he told The Kerryman’s Deirdre Walsh back in 1992, he felt he had a strange ability to attract what he unashamedly described as “weirdos”. “I don’t know why they pick on me. I’ve had everything from Hare Krishnas to salespeople trying to sell me something,” he told the paper with typical humour. “This was going on for years, but finally I found the perfect solution. If they come up to me and try to talk to me, I start talking Irish. While he was a member of many clubs, starting with his beloved Portmarnock where he won two All-Ireland Junior Cup medals as a teenager in the 1960s and remained a member for 50 years, he was also a top player for the likes of Shannon, Connemara, Castletroy, Westport, Lahinch, and Tralee to name just a few of his clubs. A grandnephew of Paddy Cahill, a TD for North Kerry and a former editor of the Kerry Champion, his father Tim O’Looney was a Tralee man and a former professor of dental surgery at the College of Surgeons. And so it was fitting that he should make his home in Kerry having run a host of hotels in Ireland and beyond before finding his true calling. A career in medicine looked likely at one stage of his early life, but after three years in the Royal College of Surgeons, he knew his heart wasn’t in it. Hotels were his passion and he completed the hotel management course at the Shannon Hotel and Catering College before spending several years learning his trade in Switzerland, France, and Britain, where he played intercounty golf. A keen observer of human nature, his world travels would prove to hugely profitable to him. Having started at the Russell Hotel in Dublin, he later managed the Zetland Hotel in Connemara, spending four years there and even making his mark at the opening of the great golf links before going on to manage the Glentworth in Limerick and the Liscannor Hotel in Clare. It was while managing the Zetland that he played host to the West German president, Walter Schell, for three weeks in 1976. “The president was something of a golf fanatic and while trying to organise this important visitor’s golfing itinerary, Paddy stumbled on his true vocation in life,” The Kerryman reported. Knowing how to keep golfers happy was one of his great talents and Schell had such a good time in Connemara that he presented the club with a piano for their refurbished clubhouse. SWING was set up initially to market the “Big Five” of the southwest — Ballybunion, Killarney, Tralee, Waterville, and Lahinch — and O’Looney knew that the American market was largely untapped. As a golfer, he was a no mean player, only losing to eventual champion Ronan Rafferty in the semi-finals of the Irish Close at Royal County Down in 1980 and to Philip Walton in the last eight two years later. His career highlight, he said in 2007, was shooting 63 in an open competition at Lahinch in 1984. As a pioneer of golf marketing in Ireland, he was a genius. The overseas golf business, especially from the US, is now a multi-million euro enterprise and a significant contributor to annual golfing turnover of €546m on the island of Ireland. Two years before the creation of SWING, when he was still running Clare’s Liscannor Hotel, he travelled extensively in the United States and sent his recommendations to the Irish tourism authorities. After once famously declaring golf tourists to be “waterproof, war-proof and recession-proof”, he recognised that Americans would love the more informal atmosphere of Irish clubs and the less crowded links here compared to their often stuffy and overcrowded Scottish counterparts. Quite apart from getting the likes of Jack Nicklaus and Tiger Woods to endorse the joys of Irish golf, one of his great coups was to get Nasa astronaut Lt Col Jim Halsell to carry a banner incorporating the logos of nine Irish golf clubs on the space shuttle Columbia in 1997. It came about after a chance meeting at the 1996 Atlanta Olympics when he heard Halsell say that his two great ambitions in life were to walk on the moon and to visit Ireland to play golf. O’Looney also presented Halsell with a silver medallion depicting the Jeanie Johnston, which never lost a passenger on 16 voyages from Tralee to Baltimore, New York, and Quebec during the famine years. The trip to Cape Canaveral for the blast-off was a momentous one for the SWING supremo, who had an avid interest in space since the age of seven when his father brought him out into the garden to see the lights of the Sputnik as it rose in the night sky back in 1957. He never stopped reaching for those stars. Godspeed, Paddy O’Looney, golfing pioneer.